Gabe Shuford is the recipient of the 2011 Baron Prize from Stony Brook University, and top prize at the 2007 Mae and Irving Jurow International Harpsichord Competition. He is a member of Repast Baroque Ensemble and has performed with A Far Cry, The Chamber Music Society of Lincoln Center, Dorian Baroque, Antioch Chamber Ensemble, Speculum Musicae, and The St. Petersburg Chamber Philharmonic. He has presented programs with recorder player Paul Leenhouts at the Boston Early Music Festival and the Music Before 1800 concert series in NYC. A sought after soloist, he has been featured with the Colonial Symphony of New Jersey, Glorious Revolution Baroque, and the Ithaca College Chamber Orchestra, where he performed C.P.E Bach's Concerto For Harpsichord and Fortepiano with acclaimed fortepianist Malcom Bilson. 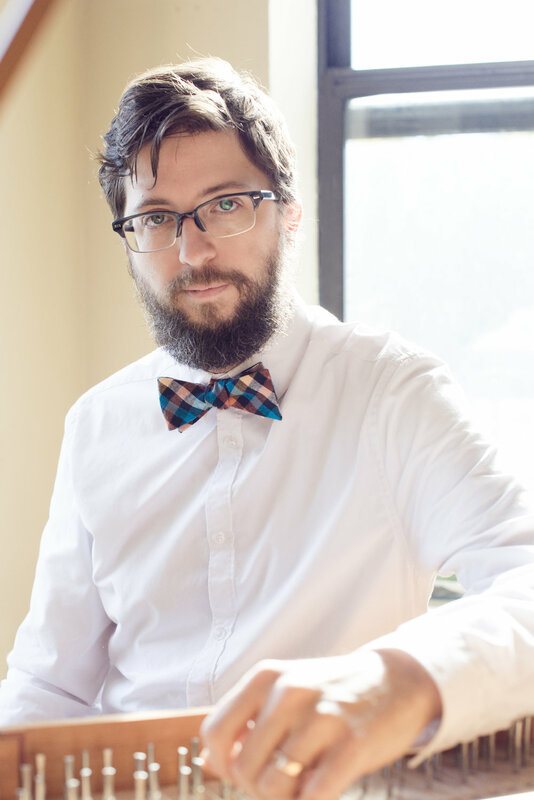 An enthusiastic teacher, Gabe has given masterclasses in performance practice at Ithaca College, and was Visiting Assistant Professor of Music at Luther College during 2009-2010, where he taught harpsichord and directed the ensemble Collegium Musicum. He has served on the faculty of Sarah Lawrence College, and was co-director of the Stony Brook University Pre-College Jazz Workshop from 2005-2009. Gabe holds a doctorate from Stony Brook University, where he studied with harpsichordist Arthur Haas. He is currently serving as Music Director at First United Methodist Church in Stamford, Connecticut.